Storing frozen foods in a controlled frozen storage environment is a great way to maintain their quality, freshness and nutritional value. The recommended freezer temperature of 0 degrees or less will keep food safe to eat indefinitely. In our frozen storage facilities we have huge freezer rooms. Rooms include 450-ton screw compressors to keep frozen foods at a constant -5 degrees. 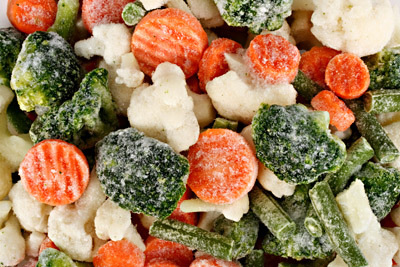 Clients store frozen foods such as meats, fish and vegetables. Our frozen storage facility provides proper air circulation to ensure a more consistent and thorough freeze. 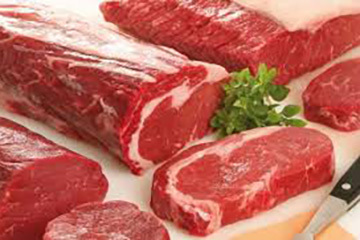 Kansas City Cold Storage pays special attention to meat products. We offer custom facilities approved and controlled by the Meat Inspection Division of the USDA. That’s frozen storage at it’s best.